The Metropolitan Opera broadcast season begins on December 1, 2018, with Boito’s Mefistofele, starring Angela Meade, Jennifer Check, Michael Fabiano, and Christian Van Horn. The broadcast begins at 1:00 pm, with our pre-Met preview at about 12:45 pm — the first of the 2018-2019 season of live Metropolitan Opera Saturday radio broadcasts. This year the broadcast season (which is always shorter than the Met’s full performance season) runs from December 1 to May 11, with 24 performances. Two thirds of the operas this year begin at 1:00 pm. Seven of the twenty-four broadcasts begin earlier, starting with the second broadcast, Puccini’s Trittico on December 8, which begins at 12:30 pm. The end time of course varies with each opera. We’ll have casting details in the WHRB Program Guide, which will be online at this website, with a link on our opening screen, as well as this link to the complete schedule. Please tune in 10-15 minutes beforehand for our Met preview, which will contain background information and relevant recordings. 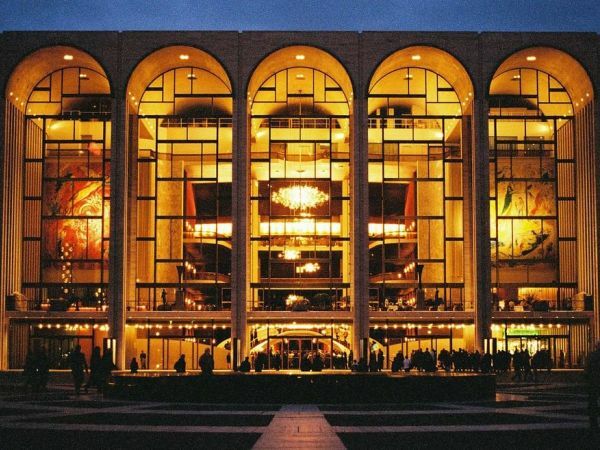 WHRB is pleased to broadcast The Metropolitan Opera to eastern Massachusetts as part of the Toll Brothers-Metropolitan Opera International Radio Network, bringing listeners the excitement of live performances directly from New York City with the world’s most acclaimed singers and conductors. The Met’s website https://www.metopera.org/season/radio/saturday-matinee-broadcasts/ has the complete broadcast schedule, with specific information about each week's presentation. Be sure to stay tuned after the Met for WHRB's post-Met vocal program, bringing you great singers from the past in music from the opera of the day, and other music as well. As with all of WHRB's programs, the Met can also be heard via our web stream, accessible through the Listen button at the top of the opening screen. Please note that the contents of the Metropolitan Opera broadcasts are copyrighted by The Metropolitan Opera; all rights are reserved, and any use or reproduction of any of the material therein without permission of The Metropolitan Opera is strictly prohibited and will be prosecuted. The Metropolitan Opera broadcast season is sponsored by Toll Brothers, America's luxury homebuilder, with generous long-term support from The Annenberg Foundation and the Vincent A. Stabile Endowment for Broadcast Media.